Welcome to the Lakewood High School Alumni Association Website. 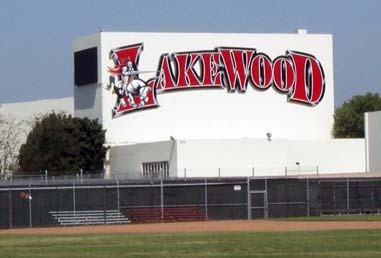 This site has been created to keep all Lakewood High School Alumni up-to-date on the reunions and our Annual All-Class Picnic scheduled on the Second Sunday of each July. LHSAA is a non-profit 501(c)3 organization. Your generous donation is tax-deductible. Front row L-R: Margie Siegel Smuck '66, Sally Mason Brayton '67, Sandy Schnee Ketchum '74. 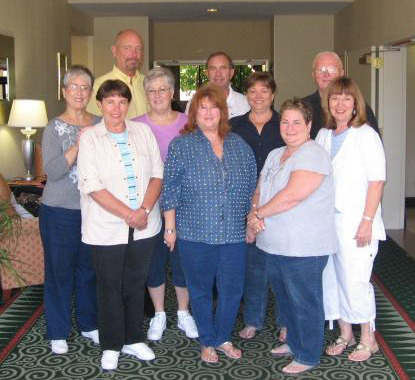 Middle row: Sharon Mead Howard '61, Judy Sims Kuiper '66, Nancy Erwin Nilsen '60, Nancy Miller Stockton '67. Back row: Casey Carver '68, Steve Dela '67, Dan Nilsen '58. Not pictured: Maryanne Severson Walters '66, Sharon Nelson '64, Steve Roberts '71. In Subject Line Type: Subscribe. Include in the body of the email information about yourself (full name, maiden included if applies, grad year, home address and phone). All information is kept private. Please cc: Lillian Maxson Zellmer LillianZellmer@gmail.com Don’t forget to reply to your confirmation email. Don't see your yearbook online? We are looking for alumni to help with the 'Yearbook Scanning Project'. If you'd like to see your class' Citadel added to the web site, and you have a scanner, please contact John Rosique at . Years needed: '82 thru 2000, '02, '03, & '05 thru '16. Disclaimer: The web site AlumniClass.com is not affiliated with the Lakewood High School Alumni Association (LHSAA) of Lakewood, CA. If you are receiving emails from AlumniClass.com telling you it's your last chance to "upgrade to a Lifetime Membership for a $10 fee", it is not from LHSAA. We have no membership fees!